Anak Krakatau August 2018. Photo credit: James Reynolds (EarthUncutTV) with permission. Krakatoa or Krakatau, in Indonesia, is part of the Ujung Kulon National Park, a UNESCO World Heritage property, and among the most (in)famous volcanoes in the world. From a geological point of view, it is part of the Indonesian island arc system generated by the north-eastward subduction of the Indo-Australian plate (Figure 1). Krakatau is now a caldera type of volcano thanks to the 1883 eruption, one of the most destructive and deadliest volcanic events in historical records causing a total of around 36000 deaths[1, 2, 3]. 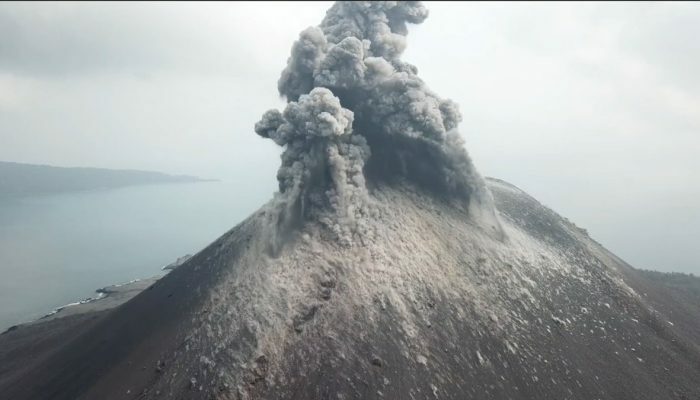 During this event, up to the 70% of the original island was destroyed, leaving a caldera structure, a ‘bowl-shaped’ depression, leading to a tsunami hitting the coastlines of Java and Sumatra and conspicuous tephra falling over the nearby inhabited islands. Today our blog will host Graziella Devoli who will tell us about the Landslide Forecasting and Warning Service currently operating in Norway by the Norwegian Water Resources and Energy Directorate (NVE). 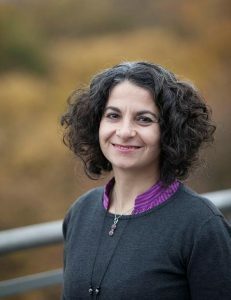 Graziella is Senior Geologist at NVE and she has PhD in Environmental Geology and Geohazards obtained at the University of Oslo (UiO) where she also teaches in the Geohazards master program. At NVE she works with the organization and development of the national forecasting service and in the daily landslide hazard assessment. Her expertise in this field comes from the years spent working in Nicaragua in natural risk management and emergency planning, where she experienced the importance of adopting multi-disciplinary approaches and strengthening national and international collaboration in disaster risk reduction. Since few years she shares her experience in class organizing a serious game where, using a multi-hazard case study, students analyse roles and responsibility of different stakeholders in disaster preventive actions. The exercise is given to UiO-students and to early career scientists at EGU conference. Hi Graziella and thank you for being with us. Would you tell us what varsom.no is? 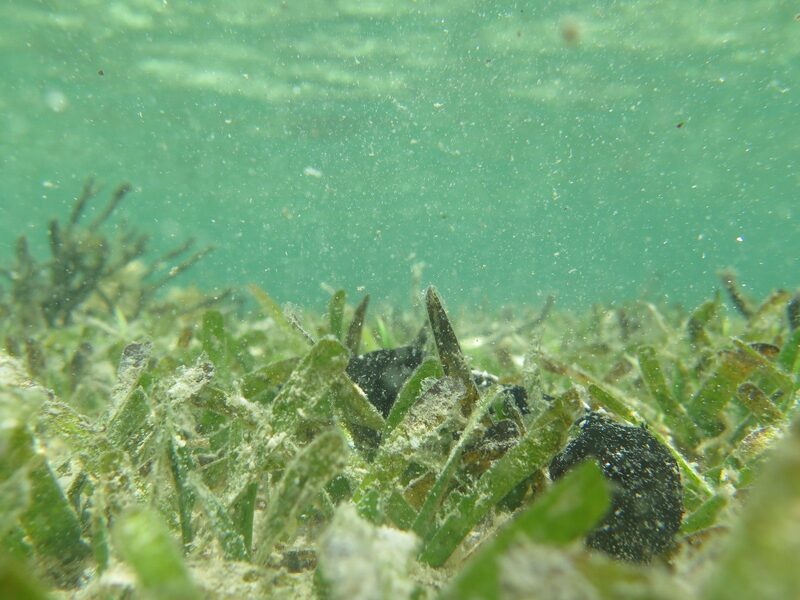 Another (surprising) brick in the wall: how seagrass protects coastlines against erosion. This picture was taken by Dr. Marco Fusi during his fieldwork. 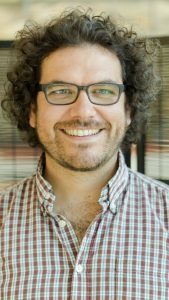 Dear readers, today our blog will host Marco Fusi, a postdoctoral fellow working on coastal ecosystems. Together with Marco we will give a twist to our usual geoscientific perspective and mix some ecology in it. Specifically, we will explore the surprising role of seagrass in limiting coastal erosion effects. 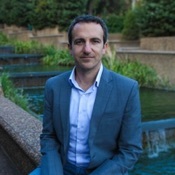 Marco Fusi is a Post-Doctoral Researcher at KAUST (Saudi Arabia), since 2014. He graduated at University of Milan (Italy) with a Ph.D. in tropical ecology. His primary interest focuses on ecological connectivity and interactions in coastal ecosystems. 1- Hello Marco, please give us an overview of coastal erosion issues. When we speak about coasts, we think about beautiful mangrove forests or a dream tropical coastline that harbours beautiful crystal water where to dive in the middle of coral reefs. However, we tend to forget that coasts are inhabited by almost 3 billion of people all over the world and hundreds of kilometres of coastline are heavily constructed. Cities, resorts, villages are expanding along the coast worldwide and often, the risk of coastal erosion is not considered. In the lasts decades, inland anthropogenic management resulted in a limited input of sediment to the sea and therefore the marine current started to erode beaches and rocky shore resulting sometimes in dramatical destruction of buildings.